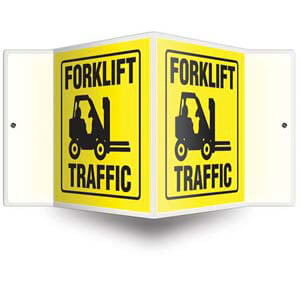 3D projection signs call attention to forklift traffic in a given area. 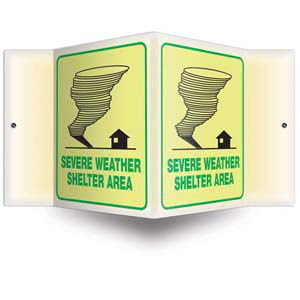 Glow-in-the-dark sign with 3D projection helps individuals locate a severe weather shelter. 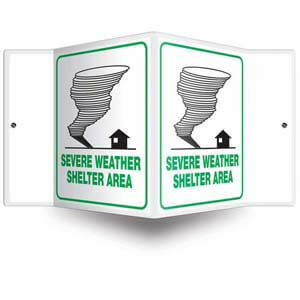 Glow-in-the-dark sign with 3D projection helps individuals locate a tornado shelter. 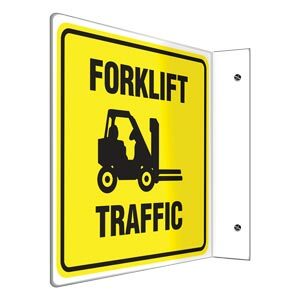 Projection signs call attention to forklift traffic in a given area. 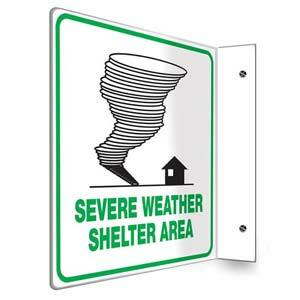 Glow-in-the-dark sign with 90-degree projection helps individuals locate a severe weather shelter. 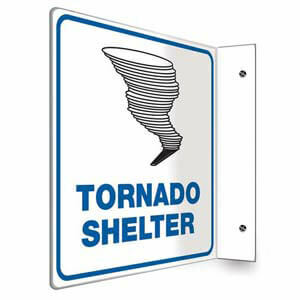 Glow-in-the-dark sign with 90-degree projection helps individuals locate a tornado shelter. 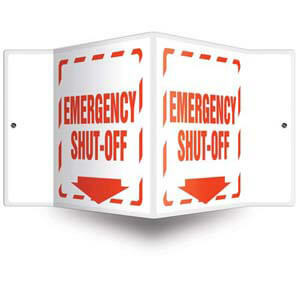 3D projection sign helps workers and vistors locate an emergency shut-off. 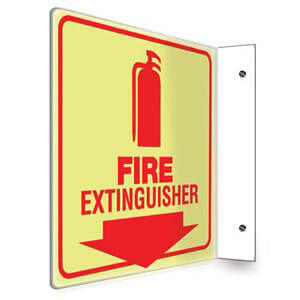 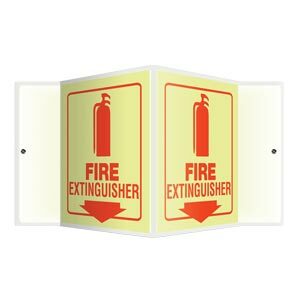 3D projection sign glows in the dark to aid individuals in fire extinguisher identification, location, and direction. 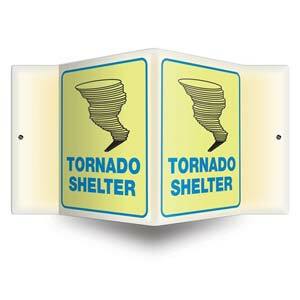 3D projection signs help workers and vistors locate a severe weather shelter. 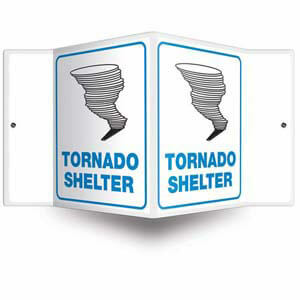 3D projection signs help workers and vistors locate a tornado shelter. 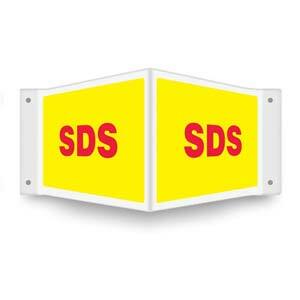 3D projection sign indicates safety data sheet (SDS) location. 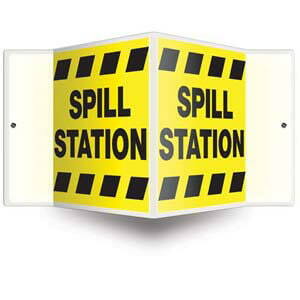 3D projection signs help workers and vistors locate a spill station. 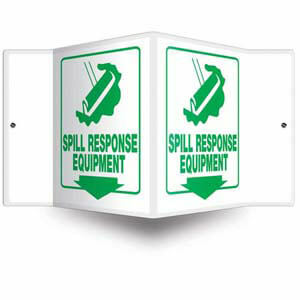 3D projection signs help workers and vistors locate spill response equipment. 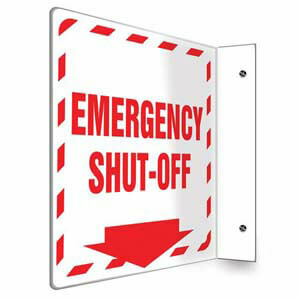 Projection sign helps workers and vistors locate an emergency shut-off. 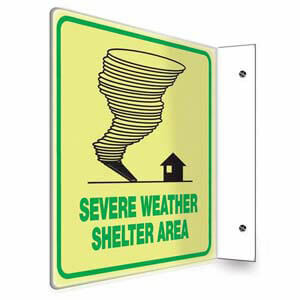 Projection signs help workers and vistors locate a severe weather shelter.